let me think… did she forget any? Ink pencils? 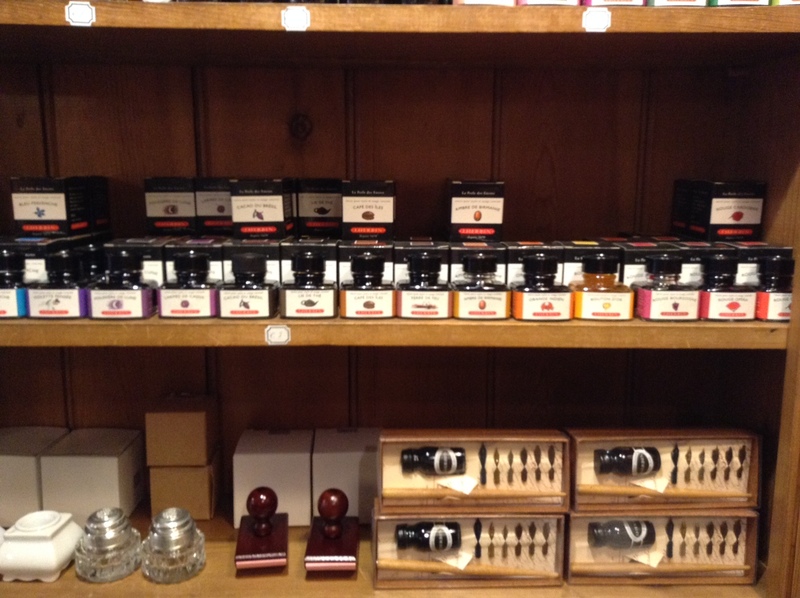 … all answers to these burning questions of yours about the different types of inks are here! Ink is a liquid that contains pigments and/or dyes. It is used for painting, drawing and writing with a pen, brush, or quill. Thicker inks, in paste form, are used extensively in letterpress and lithographic printing. Is a Liquid watercolour, like the Ecoline range, an ink too? Not really as it will not dry waterproof and does not have the shine a real ink has. However they are close to inks and for diverse creative applications can be really handy. Probably not so long lasting from a conservation point of vue, they have excellent adhesion to drawing and watercolour papers / boards and are reasonably priced. Depending on which ones, ink can be a complex medium, composed of solvents, pigments, dyes, resins, lubricants, solubilizers, surfactants, particulate matter, fluorescers, and other materials. The components of inks serve many purposes; the ink’s carrier, colorants, and other additives control flow and thickness of the ink and its appearance when dry. Want to make your own ink? Chinese ink sticks are available in attractive sets with a grinding-stone and chinese brush, or on their own. The best offer a deep, rich blue-black and beautiful soft washes – these sticks are really intended for brush painting. For writing, you could also try an old medieval recipe using iron gall, from oak gall nuts. You will produce a highly acidic ink, which fades to brown in the light, and corrosive effects that cannot be halted. The acids in iron gall ink react with the collagen in the surface of parchment, making it highly permanent, unlike carbon inks which easily rub off the impervious surface. However, the acids can also destroy documents, creating a challenge for historians, who have to read the holes burnt in ancient papers, and conservators, who need to find a way to neutralize the acid. Maybe a modern archival ink is a good idea in the end!